For a brief moment, Ars Technica published a detailed article listing all the new features coming to Android N. It was taken down, but not before the page got archived on sites like Reddit and other Android blogs. Here’s exactly what we learned from the leak. 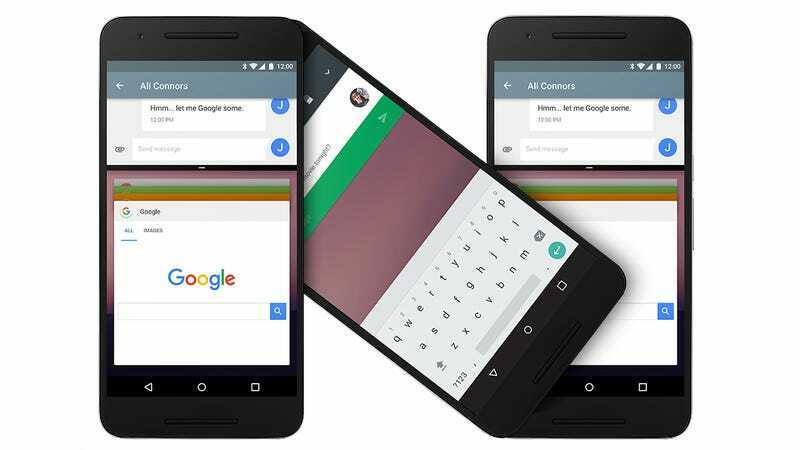 Unlike past years, Android will be releasing an early beta of its new operating system before Google I/O in mid-May. The beta will go live on g.co/androidbeta. (At the time this article was published, the link was not live yet.) Based on the screenshots, Android N has three new big features: splitscreen, a new notifications panel, and a new and improved Doze power-saving feature. The first one is a loooong time coming. Much like fingerprint sensor support last year, Android is catching up to companies like Samsung and LG that already offer splitscreen features on customized versions of Android. This will be a huge boon for bigger smartphones running pure Android like 2014's Nexus 6, the Nexus 6P, and Google’s weird little tablet, the Chrome Pixel C. Android TV will also be getting picture-in-picture support. 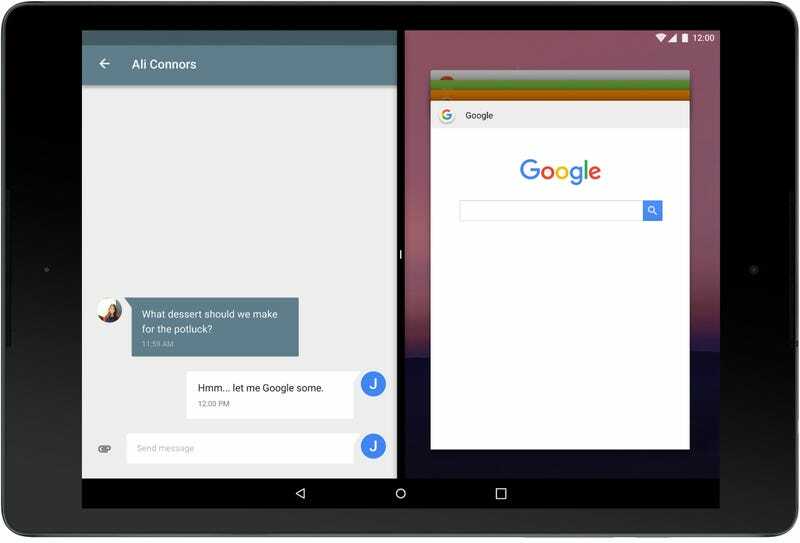 Rough mock-up of Android N’s rumored splitscreen feature. Google also confirms Android Police’s early leak about an updated notification pane and cosmetic changes to the notification cards themselves. Many apps will begin including direct reply. Ars also mentions that Doze will now work when your phone isn’t moving and when the screen is turned off, meaning phones running Android N should see a marginal increase in battery life. Here’s a nice list of changes currently in the Android N beta. The rest of the stuff is mostly background developer changes, indistinguishable for most users of Android. But Google warns that this initial release is for developers only and “may contain errors and defects that can result in serious damange to your computer systems, devices and data.” So don’t expect Android N to perform as well as the current operating system on your phone. It’s also worth mentioning that the changelog on an initial beta release is by no means what you’ll get when Android N (Nutella?) is released to the public this fall. But considering some of these features—like splitscreen—were originally rumored for last year’s Android update, the probability of seeing them in an official release is very high. This does leave one big glaring question: what exactly is Google going to talk about in May and its developers conference? Android may still play a big part, but 9to5Google reports citing an anonymous source that Android has “something totally different” planned this time. This could be a number of things, possibly the well rumored ChromeOS-Android hybrid or maybe a spotlight for Google’s VR plans. Whatever takes center stage, it’s already shaping up to be a weird year for Google.